To commemorate the anniversary, we will be posting several blog posts featuring some of our favorite artists. This week, we are featuring artisan Ananda Khalsa. Ananda Khalsa's creations exemplify the convergence of jewelry and art. Hand paintings of natural themes are a hallmark of her collection. Set behind crystal and framed in precious metals, they charm with sensitivity and symbolism. 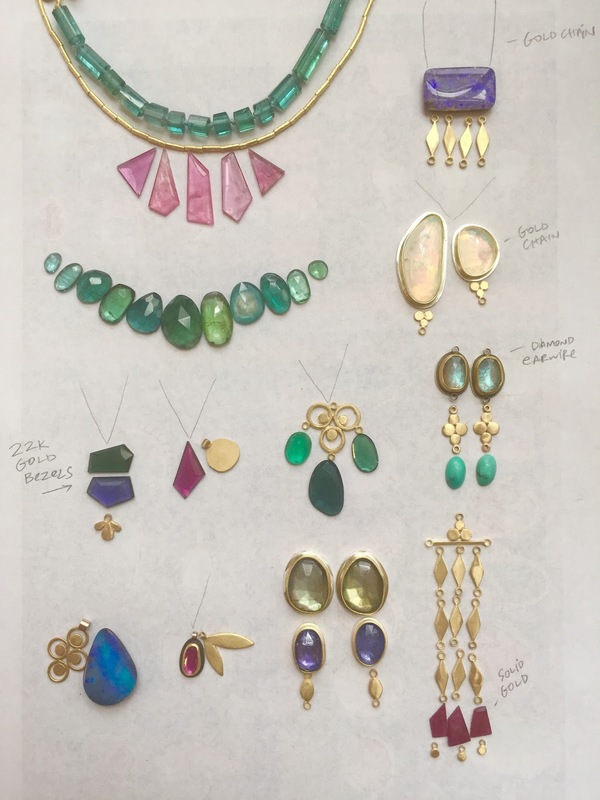 When she turns to gems, she looks for vibrancy and luminosity, hand selecting stones with the eye of a painter composing a palette. 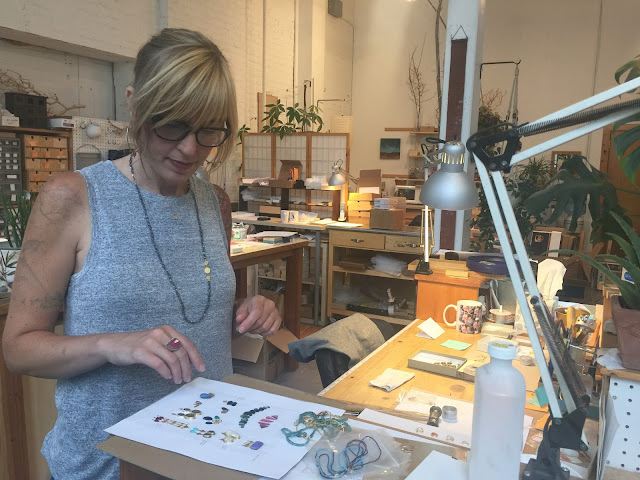 We sat down with Ananda to discuss her jewelry and Sundance. 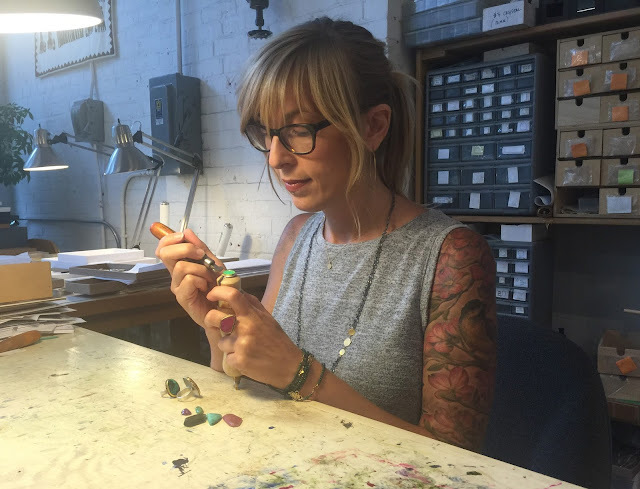 Ananda Khalsa: I’ve always loved jewelry and tiny things in general. I have memories of playing “Jeweler” as a little kid, and setting up my workshop with a light, string, and tiny shells and beads I had collected. My mom still has some of my first “pieces” from that time, little rocks and shells on safety pins and thread! I grew up in Leverett, MA and was always making things as a kid. When I graduated high school, I moved to Boulder, CO where I was a chef in a restaurant for 10 years. I loved making pastries and lovely food, but during that time I took jewelry and metalsmithing classes. 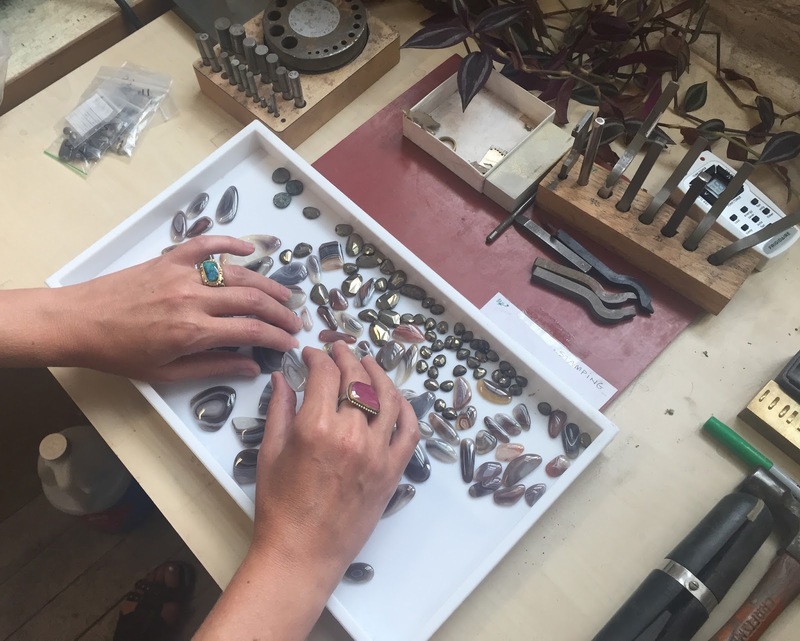 I knew I had found my calling, and was instantly obsessed with making jewelry with silver and gold, and precious stones. 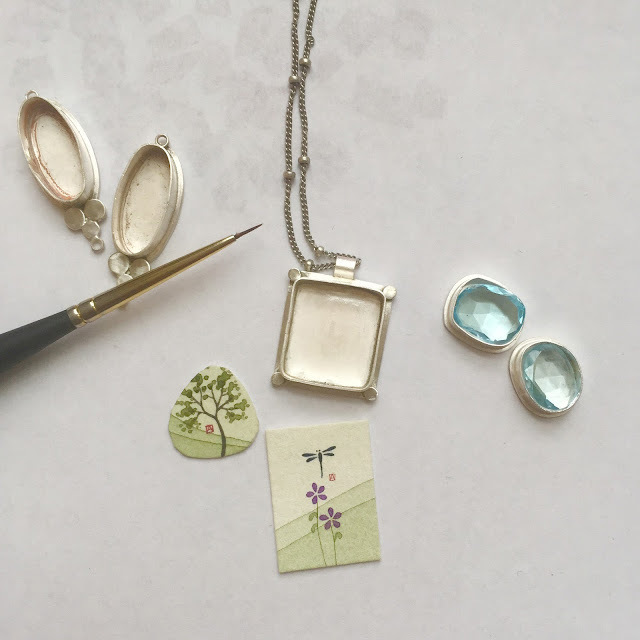 Soon after making my first pieces, I had the idea to make a tiny painting and set it behind crystal as a necklace my jewelry teacher fell in love with these pieces, and bought them from me. From that time forward I began bringing my work to galleries, and selling my jewelry to private clients. SD: What is your inspiration? AK: I am truly inspired my natural forms, ancient and tribal jewelry, and the magic of luminous gems. AK: My favorite materials to work with are richly colored gems, hand cut organically shaped stone beads, and high karat gold. A sprinkle of diamonds never hurts. There will always be a special place in my heart for setting my tiny paintings behind crystal as well. AK: I have a wonderful studio in an old mill building in Florence, MA where I make all of my work with the help of an awesome team of highly skilled jewelers. Shop Ananda's 20th Anniversary Collection here.